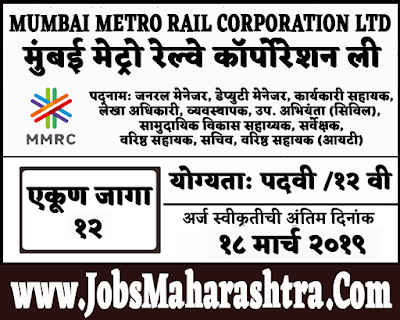 Mumbai Metro Rail has been issued notification for General Manager, Executive Assistant, Accounts Officer/ Asst. 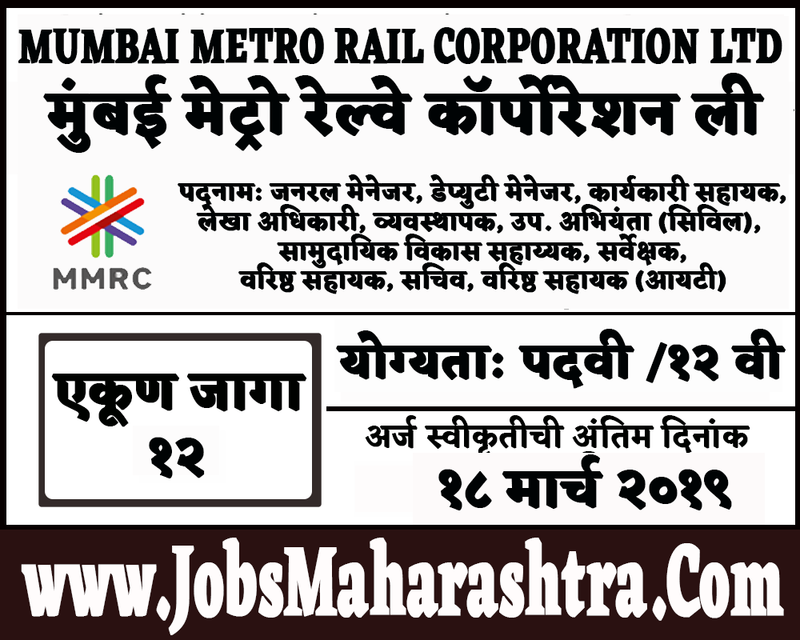 Manager, Engineer, Community Development Assistant, Surveyor, Sr. Assistant to Company Secretary, Jr. Assistant. Eligible candidates can apply through online on the departmental official website before 18 March 2019. For more details like age limit, salary, how to apply, selection process please refer the below article. Please refer the departmental advertising PDF for age relaxation. Jr. Assistant (IT):- Full-time Graduate from a recognized and reputed university and minimum one (01) year diploma/ certification course in Information Technology from Government/ Private Institute. Eligible candidates can apply through online on the official website of department given in the important web link section. Candidates applying for the posts mentioned in the advertisement will be called for Personal Interview.